What is the Science of Light? Scientists have discovered that the smallest physical particles in the universe are photons or quanta of Light. But quanta of Light have no mass, no charge and no time. They are constant wholes of ACTION. Hence, the parts of the material universe were generated from the wholeness of natural Light. But, more than two hundred years ago Swedenborg also discovered that natural Light is in correspondence with spiritual Light, Divine Love or God’s substance. Hence, Love is a reality and understanding spiritual Light or Love is also a science. Scientists have not been able to completely understand the universe because they have ignored spiritual Light or Love. In fact, natural Light is simply Spiritual Light or Love in action. Swedenborg was able to understand the whole structure and purpose of the universe by using the Science of Correspondences. What is the Science of Correspondences? It is the heavenly science that links and relates the material level to the higher-dimensional spiritual levels of the universe. The levels of the universe are discrete and separate and they are only linked by means of correspondence. Correspondence is simply the link between higher and lower dimensions. The material universe is the level of effects and the causes and purposes of these effects reside on spiritual discrete levels. Like the universe itself, the Word of God contains discrete levels of meaning. More than two centuries ago, Emanuel Swedenborg rediscovered the Science of Correspondences. What is God's Theory of Everything? God's Theory of Everything can be uncovered by using the science of correspondences to understand the spiritual sense of the Word. Just like the material world corresponds to higher spiritual levels, the natural or literal sense of the Word contains higher spiritual and divine levels. By discovering the spiritual correspondence of each thing in the material universe, we can understand the cause and purpose of everything. God created the universe from His own substance (Love) for a specific purpose. God is Infinite Love because Infinite Being must expand or give infinitely. The way God realizes His own substance or Love is by generating beings that can freely receive and return His Love. In order to be able to do this freely and perfectly, these beings must be in God's own image and likeness. This is why man has been endowed with the freedom of will and the discernment of understanding. Man is able to understand Truth and to freely return Love to God. LOVE is spiritual FREEDOM. It is FREELY given by God and it can only be FREELY and willingly returned by man. When man fully realizes Truth and Love, he creates a Heaven within himself in which he can dwell in harmony with others and God. Hence, we can conclude that human life on all earths in the universe is not an end itself. It is only a means to an end. And that end or purpose is to generate a heaven of angels from the human race. Angels must evolve as human beings from the earth or material level in order to acquire a self that is able to reciprocate Love FREELY and WILLINGLY. Our life on earth becomes meaningful when we understand God’s Word; it becomes purposeful when we reciprocate His Love; and it becomes powerful when we do what is loving, useful and just. What is the cause of all problems and misery in the world? In the Bible, we learn that our human ancestors fell from a state of innocence, mindfulness and unselfish love into a state of spiritual sleep or forgetfulness where they forgot that their being was sustained by God. They then began to erroneously believe that their intelligence was self-derived and to love their own self instead of worshiping God who is the source of all Love (Good), Intelligence (Truth) and Power (Action). Hence, selfishness, self-love, self-intelligence, self-righteousness, fear, and the false belief in powers other than God [Infinite Being/Love] are the root causes of our present situation. When we understand that God [Infinite Being/Love] is the One and only power, we have nothing to fear. The world that we experience is an effect; it is not a cause. The world that we experience is our own reflection. If we do not like the reflection that we see, we must simply change our state of consciousness or what we love and believe. When our understanding is aligned with Divine Truth and our will is aligned with the will of God or Love, we enter the Kingdom of Harmony. Humans foolishly fall into lust, greed and hatred because they are deceived by the material world. They erroneously believe that they will attain happiness by accumulating worldly power, control, fame, glory, wealth and possessions. They do not realize that their heart is spiritual and it behaves according to spiritual law, not natural law. In Heaven, the joy of Love increases by serving and regiving because the law of Heaven is the law of use or regiving. In the first chapter of the Bible, we learn that human beings were generated in the likeness and image of God. And God's Reality consists of Love, Wisdom and Power. Hence, our being, which consists of Will, Understanding and Action, is essentially a mirror that has the capacity to receive and reflect God's Light. And we can even perceive that all beings in the universe are reflecting God's Love, Wisdom and Power. Some human beings are very loving to others, some are able to understand, communicate and share God's Truth, while others tend to be useful. Now, in order to continue to receive Divine Love, Wisdom and Power, we must keep it flowing through reflection. However, since this reflection must originate from our own freewill, some of us freely refuse to reflect or reciprocate Love to others and God. By choosing to do this, we in effect obstruct or stop the flow of Love, Wisdom and Power into our self and remain in the spiritual darkness and misery of self-love because the Light we receive is no longer able to return to others to be reflected back to us from the loving heart or spiritual center of all humans, animals and plants. Love in the universe increases by regiving and sharing because every being in the universe is a mirror that reflects Love. When we reflect God's Love, Wisdom and Power to others, it shines into all other mirrors or created beings and reflects back to us. Hence, the Love within our heart, the Wisdom within our mind and the Power within our body continue to grow exponentially by regiving. Is not religion the cause of most of the disorder, violence and hatred in the world and is it not enough to live a moral life? We should not blame God or religion for the foolishness, stupidity and selfishness of men. Since the literal meaning of Sacred Scriptures is replete with contradictions, we can justify and rationalize all our lies, evil intentions and actions by quoting some verse of Sacred Scripture. But, if our intentions and actions are selfish, our beliefs are false and we will ultimately suffer the consequences. Instead of paying attention to the disorder in the world, we should be more concerned with the quality of our own loves, intentions, beliefs, words and actions. According to Swedenborg, we can live a moral life and yet not be conjoined with God or Heaven. Why? If our moral life is rooted in self-love and self-intelligence, it is natural, insubstantial or useless. But, if it is rooted in our understanding of the Word and our love of God, it becomes spiritual and connects us with Heaven and the Lord. If there is only ONE God in the whole universe, why are there several legitimate religions? There can only be ONE God in the whole universe because the very definition of God is Infinite Oneness. But there are several true religions because humans evolve in different places, times and circumstances. And God sends a prophet to each region and at the appropriate time to suit the needs of the people who live there. But each of these true religions is designed to raise human beings into Heaven. Thus, although spiritual doctrines and rituals may differ, every true religion must be based on the same basic spiritual principles which are Love of God and Love of Neighbor. Any religion that does not advocate Love and the respect of every human being’s spiritual freedom is a false religion. When we study human history, we detect that many religions have deteriorated, degraded and died. But, when this occurs, God raises a new religion to teach Love and Truth. The Truth is that God and Heaven are real and humans were designed to live in Heaven in Love and Harmony. Planets such as our own earth are places where we can freely choose to understand Truth and freely reciprocate Love. By doing this, we develop an eternal soul that can subsist in the Kingdom of Heaven. Heaven is infinitely large and God wants to fill all the different parts of Heaven. In order to achieve this purpose, God requires different types of people with different affections and thoughts. Heaven is a realm of Love and Harmony. And this harmony increases through diversity and unity. Angels and societies of angels are analogous to the organic cells of the human structure. Some angels are in the head of Heaven, some in the heart, some in the liver, some in the kidneys, some in the hands, some in the feet, etc. We are automatically attracted to the region of Heaven that matches our affections (loves) and thoughts (beliefs). When we find the society in Heaven which matches our loves and beliefs, we can perform our function in Heaven in Peace and Joy. And, like the different parts of the human structure are equally necessary, the work of every angel is equally valuable. What is the source of real or eternal joy in the universe? All delight or joy is derived from love. And the kind of joy we experience is determined by the quality of our love. When we are still in self-love, self-intelligence and self-righteousness, we experience infernal and temporal delights. These temporary and fleeting delights result from fulfilling our selfish desires and lusts. We falsely believe that happiness can be found in the world of our physical senses, in possessions, lust, gluttony, fame and self-glory. But the more we fulfill these selfish desires, the more our desire or feeling of lack grows. This is where addiction and suffering originate. We may possess the wealth, fame and glory of the whole world and still be miserable; without Divine Love and Wisdom, we are destitute. True or eternal joy can only originate from Heavenly love or Love of God, love of neighbor or love of uses. When we are useful to others and God, understand Truth and practice love in our life, we begin to generate feelings of internal joy that correspond to the quality of our Heavenly love. We feel connected to others and God in a Heaven of mutual love. This perpetual joy can continue to grow forever as Divine Wisdom and Love flow into our own being. And this inner love manifests itself in our life as prosperity, health and peace. When we understand that it is foolish to be afraid and selfish, we become courageous, forgiving and compassionate towards all. Joy then results from being conscious, understanding, creative, useful, forgiving and loving. Love is realized or put into effect in the universe by usefulness or service to others. This is the only way we can generate real joy within our own being and freely return Love to God. God is Omnipresent Love, Wisdom and Power. In God, we live, move and have our being. Therefore, God is the Love that flows into our heart, the Wisdom that flows into our mind and the Power that flows into our hands. And, in order to have a close and personal relationship with God, we must freely and willingly return this Love to God by loving others, by understanding and believing His Truth (the Word), and by obeying His Laws through useful actions in the world. The more we do this, the more we are conjoined with God, the freer we feel, and the more joy and Peace we experience. This inner Peace is the Peace of God. Truth is the form of Love. Love is an eternal and real substance. And this substance is organized in the form of Truth. Truth is the spiritual form of Heaven. Therefore, in order to enter the Kingdom of Heaven, we must understand and love Truth. And Truth and the Word are synonymous. When we begin to understand the spiritual sense of the Word, practice Love in our everyday life and resist the temptation to be selfish and self-righteous, we are starting to enter the Heavens of our mind. Why are many people not interested in Truth? Our soul or real being consists in what we love and what we believe to be true. And what we believe is directly linked to what we love. Hence, when we are still in love of self and the world, what we believe is necessarily false. And, when we hear Truth, it contradicts what we believe or who we freely are. The only way to continue to live the way we do is by rejecting the Truth. If we were to believe Truth, we would need to change what we love, what we believe and how we live our life. And most people are still not ready to change their mind (repent) or their way of life. Those who usually seek Truth are those who have noticed that a life motivated by love of self and the world is a vicious spiral that only leads to addiction, slavery and suffering. Like Divine Truth (Son) and Divine Love (Father) are united, self-love and falsehood must be linked. When we are in self-love, we reject the Truth. Those who are in self-love want to control others and the universe. In order to do this, they must live in a realm of fantasy or lies (hell). In order to live in Reality, we must believe in the Truth. And the Truth is that God is the One and only ruler of the universe. And God is perfectly just and loving. Since the universe is created by Love, human beings possess the will or freedom to believe the Truth or reject it. They are free to believe their personal opinions and lies. When we are in self-love, we live in a world of personal illusion and lies. We think we can control our own life. However, since we have lost touch with Reality, Truth and Law, we begin to experience the hellish circumstances corresponding to these selfish loves and false beliefs. These negative circumstances are designed to awaken us to Reality. Moreover, when humans witness violence, disease and poverty in society, they tend to lose faith in a God of mercy and Love. But the fact is that these outer negative circumstances correspond to their inner selfishness, lust, greed and hatred. And, if our state of consciousness is the cause of what we experience, all our enemies and sufferings must be self-created. Our enemies are the false thoughts and selfish lusts that are within our own being. When we refuse to believe in these false thoughts and resist these selfish impulses, we return to the kingdom of Truth and Love. When we only believe in our own self and rely on our own human prudence, we choose to disconnect from Reality (Love and Truth) and consequently we live in illusion and fear. We are always afraid because we wish to control our circumstances and we know that it is impossible to do so. How can we dissolve this paralyzing fear? By understanding and realizing the Truth! The Truth is that we are still connected to God or Love. And God (Love) is in control of the universe. When we surrender to God (Love) and let God control our life circumstances, this fear is dissolved and we live in FAITH. We act according to conscience and now have faith that God (Love) will take care of us. Faith is the opposite of fear. Fear results from our unwillingness to surrender to God (Love). We are free to choose fear or faith. It is impossible to love yourself. God had to create the whole universe in order to realize real or Divine Love. Divine Love and Divine Goodness are synonymous. Divine Goodness is God's infinite Life or substance. Evil originated when man fell from the level of innocence and grace, and he began to believe that his intelligence was self-derived. He then began to love and worship his own self. And he began to falsely believe that reality is the material world. This led to the egotistical or hellish state of lust, greed and fear. What is the cause of violence, disease, poverty and misery? Since our outer circumstances correspond to our inner loves and beliefs, psychological and spiritual disorder must be the cause of social and biological disorder. Hence, believing in our own powers, loving only our self and engaging in condemnation, misuse, deceit and abuse must be the cause of violence, disease, poverty and suffering in human society. In order to be healthy, prosperous and joyful, our individual will must be aligned with the will of Heaven or Divine Love. If Divine Love is healing everyone, why is there so much suffering and misery in the world? Divine Love can only flow into an unselfish, forgiving, grateful and loving heart. And human beings have the freedom to be selfish. When a society is based on fear, greed and selfishness, it is in connection with hell and lacks spiritual goods and truths. If our society were based on mutual Love and usefulness, it would be spiritually conjoined with Heaven and spiritual Goods and Truths would be able to flow into it and be transformed by correspondence into social intelligence, natural goods, peace and social harmony. If unselfishness and usefulness are the road to joy, why are some selfish people rich, healthy and happy while some innocent children are poor or sick? This is an illusion or a lie. It is impossible to know by appearance if anybody is really joyful or not. Some persons may possess a lot of things but this does not mean that they are joyful. Joy and Love are not the result of circumstances; they are the qualities of real Being. Therefore appearances cannot give us an indication of a person's state of being or consciousness. Ultimately, our happiness is completely dependent upon our state of being or our relationship with God and other beings. Heaven is a Kingdom of Harmony. In order to be in Heavenly Joy, we must be in harmonic relationship with other beings and God. Humanity evolves from darkness to Light. So every human soul is freely evolving towards Light or Harmony by ascending through the various levels of Being. The more we are harmonized with the whole, the more joy and peace we experience. Therefore, every human soul is born in the circumstances that are appropriate for its continuous spiritual development. During our spiritual journey, we may have to experience certain diseases and states of lack in order to understand certain spiritual laws. In fact, you will notice that disease and poverty bring out the love and wisdom in most people. Some people falsely believe that, if God loved them, He would have made them healthy, wealthy, powerful and famous in the world. This would only be true if that were the purpose of the universe. But this is not the case. We do not exist on Earth to indulge our selfish desires, to glorify our own self, to satisfy every lust, to accumulate material possessions, nor to be served by others. Such behavior only leads to addiction and suffering. We are here in the material world to learn how to live with others, to love them and to be of use to them. This is how we freely and willingly put Love into effect and ultimately construct a spiritual body that can subsist in the eternal fields of Heaven. And this is also how we generate real joy and Love within our own being and into our life. God loves us because He is Divine love itself and (whether we are conscious of it or not) He is always guiding us because He is Divine Wisdom/Providence itself. However, if the purpose of the universe is to create a Heaven of angels from the human race, God must always be guiding us into the Heavens of our heart and mind by the circumstances in our life. Our circumstances, whatever they may be, are the appropriate lessons we require to develop and purify our soul in order that it can dwell forever in the eternal fields of Heaven. Therefore, if we are experiencing unpleasant or negative circumstances, it only means that we must change our intentions, loves, beliefs and deeds so that they are more aligned with Divine Truth and Love. Since Heaven consists of angelic societies united by mutual Love and service, we can only regenerate our soul by freely and willfully being of service to others and practicing love on Earth. We must learn to do this on Earth because the material world is the domain of FREE actions. And Real Love can only be realized or put into effect in freedom and according to reason. It is only our FREE intentions and actions in the natural world that define who we really are. We become who and what we are by what we FREELY intend, believe, say and do in the world. On Earth, we always have the freedom, possibility and rationality to believe or reject Truth. And we also have the freedom and power to reciprocate or abuse Love. However, when we die physically and enter the spiritual world, we can no longer change our mind or heart because we are automatically drawn into a spiritual society that corresponds to our ruling love and beliefs. The spiritual world is the world of consciousness, thoughts and emotions. Heaven is the higher region of the spiritual world that is enlightened and enlivened by the Divine Love and Wisdom of God. We create our own paradise in Heaven by being conscious, creative, loving, forgiving and useful to others and God. The reason we should be meek and glorify God is because all intelligence and good emanates from the Infinite (God). And human beings are only recipients which are able to receive and reflect God's Love and Truth. The angels that are presently in Heaven are human beings of previous ages that have freely chosen to realize a spiritual body of Love and Wisdom through faith in God and useful works on Earths such as our own. Angels must evolve from the material level because this is the only way they can acquire a self that is free and distinct from God. Love can only be realized in freedom and according to reason. 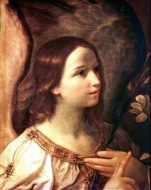 Each angel in Heaven has a unique function in the spiritual body of God (or the Divine-Human). And God’s Love in Heaven becomes more real as more angels enter Heaven from the human race. The more angels Heaven contains, the more closely it reflects the image of God and the more beautiful it appears. The spiritual world is the world of consciousness, thoughts and emotions. Hell is the lowest and darkest region of the spiritual world; it is a world of spiritual darkness, fantasies, lies and selfishness. In this spiritual darkness, the spiritual Light of God (Truth) can only be experienced as a blinding Light and His Love as an infernal fire or Judgment. Thus, devils fear Truth and are tormented by Love. We create our spiritual prison or hell by our own selfishness, self-love, self-righteousness and falsehood. The Bible has many warnings about hell because God’s only desire is that we join Him and the angels in a Heaven of mutual Love. However, since Love can only be realized freely and willingly, we reserve the right to reject God, Truth and Love. And, when we do so, we create and subsist in our own egocentric hell of self-love, self-intelligence and self-righteousness. If God is a God of mercy and Love, why doesn’t He stop all the violence and evil that is manifested on Earth? The violence and evil that is manifested on Earth in fact results from humanity’s inability to resist the temptations of evil lusts and false thoughts emanating from hell. God allows this violence to be manifested on Earth because Earth is the domain of free actions where we are able to freely choose between selfishness (evil) and unselfishness (Good). However, Divine Providence eventually uses and transforms such evil events for the Good of the whole. You may have noticed how tragic and disastrous events bring out the Love and Wisdom in most people. And since our soul is eternal, nothing that happens to our physical body can destroy the Love in our heart and the Wisdom in our mind. We should instead fear the death of our soul which results from acting against the Divine Order. Why is hell necessary in the universe? Every human soul is predestined for Heaven. But, since Heaven is a realm of freedom and righteousness, God cannot prevent human beings from freely choosing to reject righteousness. Thus, God must allow hell to exist in order to preserve spiritual freedom. It is an interesting fact that we can only enter into hell if we freely and willingly choose to do so. Hell results from spiritual freedom. If God were to abolish hell, He would have to abolish freedom also. In fact, God never created any hell, nor does He ever send any one to hell. The hells are and were freely and willingly created by human beings over the ages. Since human beings were endowed with spiritual freedom, they are free to reject Divine Truth and Love and, instead, to believe their own selfish lies and fantasies. The hells are spiritual states of falsehood, lies, selfishness, fear, hate, revenge, violence and cruelty. These states are freely and willingly created by human beings who choose to enter and remain in them. Therefore, those who choose to enter into the dark and negative states of hell do so because they reject the Truth; they are fooled by the appearances of the world; they make up and believe their own lies and they love themselves and the world more than God or their neighbor. They erroneously believe that they will be happy by being selfish, self-righteous, controlling, lustful or abusive. They want to control others and their own circumstances. In order to do this, they must believe in their own lies. And, as a consequence, they lose touch with Reality (God) and live in a world of lies and selfishness (hell). They are unwilling to understand the Truth and will the Good. They FREELY and WILLINGLY choose to remain in spiritual darkness or unconsciousness. They only believe in the reality of their physical senses. They choose to satisfy their temporal desires and lusts, which results in a false kind of infernal delight that is short-lived. Ultimately the fulfilling of lust and greed leads to a vicious cycle that culminates in suffering. God uses every (inward and outward) means possible to lead us into Heaven and away from hell. For example, the Bible is filled with warnings about hell. Yet, many people do not take these warnings seriously. He also uses certain negative circumstances and their corresponding pain and suffering to show us the error of our sinful ways. Inwardly, we also experience regret, remorse and shame when we act against our spiritual conscience. But, in the end, God cannot prevent us from exercising our freewill. Why did God tell us to love our enemies? God’s Love is unselfish and unconditional. Thus, God loves all His creatures equally whether they are on Earth, in Heaven or in hell. However, each one of us freely chooses how this Love is received and reciprocated by our own intentions, beliefs and actions. Heaven is the Kingdom of Love and this Kingdom is within us. If we desire to be in Heaven, we should not hate anyone, nor any organization, nor anything. And, in fact, there is no reason to hate anyone. Every person is gradually creating his own heaven or hell by means of his free loves, intentions, desires, beliefs, and deeds. Consequently, we are only responsible for our own loves, intentions, beliefs, thoughts, feelings and deeds. And we have no right to impose our views or morality on anyone as every human being has been endowed with the freewill to accept Truth or reject it. Everyone is free to love or hate, and not even angels can interfere with this spiritual freedom. We therefore have no right to tell others what to think or how to live, no matter how selfish, cruel, immoral and violent they may appear to be. By imposing our beliefs upon others through force and violence, like the Christian crusaders did, we are only driving them away from God and religion. We must teach by example. When others see the way we live our life according to our spiritual values, they will be inspired to change their ways and to seek Truth and Love. We may then be able to transmit our spiritual Wisdom. God told us to love and pray for our enemies because His desire is that we should join Him and the angels in the Kingdom of Heaven. And the only way to achieve this is by practicing Love and compassion towards all beings. Spiritually, our enemies are the selfish lusts and false thoughts that we experience within our inner being. We can resist these evil tendencies and ignore these gloomy thoughts when we understand Truth and practice Love and compassion. What is the most important thing to understand? Infinite Being or Divine Love/Truth is Reality. Your body and your life are the temporal expression of your eternal being or soul. You are not responsible for the thoughts and desires that are flowing into your mind and heart from Heaven and hell. But, once you FREELY and WILLINGLY accept and appropriate a thought, it becomes a belief and part of your understanding. And, when you FREELY and WILLINGLY act upon your desire, it becomes part of your will. You are therefore FREELY and WILLINGLY creating the form and substance of your soul. By FREELY believing what is false and doing what is selfish (evil), you create your own egocentric hell OR by FREELY believing what is True and doing what is unselfish (good), you create your own heaven. God would not have advised us to “repent” if we did not have the capacity to change our mind and heart. First, we must change our mind or what we understand to be true. Good and Truth are not matters of opinion; they are emanations of Reality. God communicates this Truth through the spiritual and celestial sense of the Word. Once our mind is reformed and we believe in the Truth, we will be tempted and tested. This is how our will is regenerated. Due to the obscure state of our mind, we are not able to see our own spiritual flaws and we tend to project them onto others. When we give in to temptation, we begin to see the selfish (evil) state of our soul. But, if we choose instead to resist temptation, the Lord within us, will gradually drive out the evil lusts and false thoughts and replace them with His Love and Truth. When the form and substance of our soul is properly transformed through reformation and regeneration, we enter the Kingdom of Heaven.